It's raining and icing here. This photo I took last night. 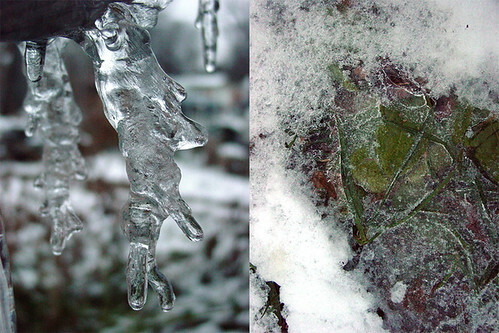 Today there is ice dripping from everything; the trees are laden with glass. When it stops precipitating I will venture out for photos. My studio stairs were slippery enough for me this morning!! Our power did go out for a few hours overnight but it is obviously on for the time being. Enough about me, here's some holiday cheer to check out. Keep warm and cozy today!